KIND bars have long been a staple in the Katz family pantry, and they have powered me through the ardors of many of my frequent flyer miles. I am quite confident my personal nutrition standards rival any at the FDA. No doubt, the guidelines are flawed. They specify that foods can only be labeled as “healthy” if they have 3 grams or less total fat and 1 gram or less of saturated fat per serving. Fish and meat must have 5 grams or less of total fat and 3 grams or less of saturated fat per serving to use the claim. This comes from a time when the dietary groupthink was that low-fat everything was the answer to all nutrition woes. 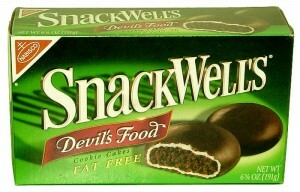 So back then, low-fat cookies were being marketed as healthy snacks. Health claims are about marketing; they are not about health. Foods are foods, not drugs. I don’t see why companies should be allowed to carry any health claims. The kind thing for Kind to do would be to stop angling for health claims to promote its products. I like Kind, I think the product is really pretty good — real foods stuck together with a little sugar — but leaning on health claims diminishes the image the company is trying to project with its product. Click here to read more from the Washington Post. Click here to read Kind’s petition. I certainly don’t know the specifics well enough, and I certainly have a bias (working for a range of companies that market products to consumers), but I’m not sure I can so unequivocally agree with Prof. Nestle. How else is Kind, or anyone else, for that matter, to differentiate their products in the marketplace if not with claims? And would we not want marketers to make claims based on salient facts/characteristics (vs. celebrity endorsements, inclusion of “flavor crystals”, or “now in new packaging”?)? I think I do understand the broader point that we humans should eat real food with less regard to the words on the package (and that food that is not in its own package should be viewed as treat not staple), but maybe I am just missing the point? I’m sorry, Ted–I’m perhaps more dense, even than usual, this am. Joe, you are right. Companies will always be making claims about their food products. Health claims, though, have always been problematic. For one thing, they are often based upon assumptions, not facts. Back in the 80s, people widely assumed that eating low-fat, high carb foods would lead to good health. Now it people widely assume that such advice led to more obesity. I think Nestle is right because a marketing claim that a food is “healthy” is taken to mean that “if I eat this, I will become or stay healthy as a result.” But no such evidence exists to support such claims for any food. In fact, it’s probably not a reasonable expectation that any single food will increase or maintain your health. It’s the totality of what you eat that supports good health. Drinking a Coke will neither kill you nor give you great vitality. Drink too much of it and it will cause you harm. Likewise, most foods can be part of a healthy diet, but it’s the total diet that matters. A diet with too many Kind bars would definitely not be healthy. Food is food, not medicine. Tasty, good, satisfying — those are much more supportable claims than “healthy.” To claim that a food is healthy, one needs data on health outcomes that result from consuming the product. Thank you, Ted, for explaining this to me–that is helpful and does make sense. It does make it harder to align commercial incentives with a good public and public health outcome, no? I do believe in social justice, Joe. And I know that getting to a good place on policies related to health claims will not be easy. But I’m pretty sure that trading one bad guidance for another is not helpful. My simple rule of thumb is that claims should be supported by facts. The claim that a food product will make (or keep) you healthy is a tough claim to prove. But the burden should be on the folks who want to make money by making the claim. Thanks for thinking about this and for making me think, too. Cool, Ted–and I hear ya: yet another example of a complex problem that will defy simple solutions.